Forget the UK government’s Digital Britain report (out today), which will propose a solution to the “file sharing problem”, or Virgin Media and UMG’s carrot-and-stick solution. Notorious BitTorrent tracker Pirate Bay thinks it has the answer: a new service that will offer file swappers their own encrypted virtual private network that will keep any “ilegal” activities away from the prying eyes of the content industry and their trigger happy legal teams. Dubbed IPREDator after Sweden’s copyright law IPRED (Intellectual Property Rights Enforcement Directive), the VPN service is currently in limited beta with 3,000 testers and another 180,000 on the waiting list. The service costs 5 euros per-month. With Amazon’s Kindle winning the most mind share (thanks to Oprah) and Sony publishing healthy numbers for sales of its Sony Reader, it’s easy to forget that the eBook market isn’t purely a two horse race. Enter the BeBook from Dutch company Endless Ideas who were touting the device at last week’s The Gadget Show Live. What sets the BeBook apart from competing eBook readers, the company claims, is support for a wider range of file formats, which on the surface appears to be true. However, after a bit of digging I’ve discovered at least one caveat. While the BeBook supports non-DRM formats galore, such as txt, pdf, doc, html, rtf, ppt, bmp, jpg, png, gif, tif, and even mp3s, which pretty much has you covered for out of copyright books and other non-commercial content, the only eBook format with DRM that’s supported is Mobipocket. That’s probably fine for most potential buyers but does mean, for example, that copyprotected PDFs can’t be viewed on the device. 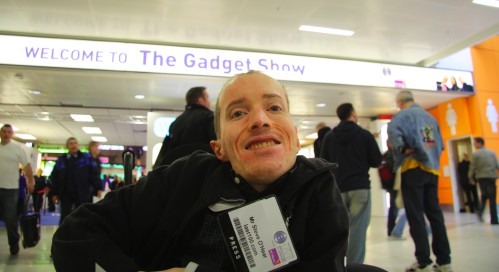 Just a quick post to say I’ve just arrived back and safe from visting family and attending The Gadget Show Live in Birmingham in the UK, which explains why blogging, aside from on the show floor twittering, has been almost non-existent this week (limited WiFi and patchy 3G coverage also didn’t help). The better news is that we’ve bagged lots of video and images from the show where I got to check in on the latest news and products from Sony, LG Mobile, Flip, Swap, BeBook, and more – the best of which I’ll be posting over the next few days. Not sure if this is such a big deal but owners of Sony’s Reader – which includes my dad – can now access over half a million public domain books via the company’s eBook store, courtesy of a new partnership with Google Book Search. 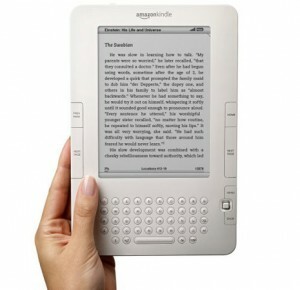 Usability guru Jackob Nielson has given Amazon’s Kindle eBook reader the once over. His conclusion: perhaps unsurprisingly, the device is great for linear reading – think books, and in particular novels – but falls down badly when consuming non-linear content, such as electronic versions of magazines or newspapers. 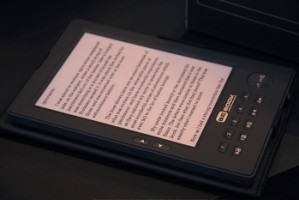 Additionally, Nielson says that although he has previously questioned the viability of eBook reading devices in general, the Kindle’s e-ink screen technology and his own reading speed using Amazon’s device (less than 0.5% difference compared to the exact same paperback) has changed his mind. … turning the page is extremely easy and convenient. This one command has two buttons (on either side of the device). Paging backwards is a less common action, but it’s also nicely supported with a separate, smaller button. The device thus offers good support for the task of linear reading — appropriately so, as Kindle’s design is centered on this one use case. While reading, your only interaction is to repeatedly press the next-page button. However, “anything else is awkward”, writes Nielson. The news today that Amazon has released a Kindle client for Apple’s iPhone and iPod touch says a lot about the company’s eBook strategy. Amazon’s Kindle device has often been described as wanting to become the iPod of books, but unlike Apple it’s clear that the e-tailer sees itself in the business of selling content and not just to drive sales of hardware. In terms of music and video sales, Apple’s iTunes Store exists purely to add value to and increase uptake of the company’s iPod and AppleTV devices, with the major record labels and Hollywood studios receiving the majority of revenue from any content sold. Until fairly recently, content from iTunes could only play back on Apple’s hardware – for movies and TV shows this is still the case – helping to lock customers into the iTunes/iPod ecosystem. In contrast, eBooks bought from the Kindle store are now able to be read on at least one non-Kindle device, Apple’s iPhone, with more to come. This suggests to me that Amazon is taking a large enough cut from each eBook sold to justify potentially diluting sales of the Kindle device itself. Thanks to everybody who entered. Best of luck next time. If you’re new to last100, you can subscribe to our RSS feed here, or get weekly email updates using the form below. Note: the contest is now closed. Winner to be announced shortly. Today it’s our turn to share some magic courtesy of HP and Microsoft. We’re giving away $6,000 worth of gear, including four computers (a 25 inch touchscreen desktop, two laptops and HP’s newest Netbook), a media extender, printer and a bunch of software/DVDs. That’s a lot of kit for even for the most hardened geek, so we’re encouraging the winner to also share the magic by giving some of the prize away. For your chance to win, I’m going to keep it relatively simple. Here’s how to enter, along with a few basic rules. While Amazon remains deafeningly silent over how many Kindles it has sold – except to say that new orders won’t be fulfilled for the next eleven to thirteen weeks – Sony, its main competitor in the eBook reader space, isn’t being so shy. Claiming to have exceeded the company’s own forecasts, Sony says it sold 300,000 units of its Sony Reader device since its October 2006 launch (WSJ). Interestingly, however, Forrester Research estimates that 400,000 Kindles have sold since its launch in November 2007, which, if true, means that Amazon has done considerably better in a much shorter amount of time, possibly due to better marketing — it’s hard to beat the Amazon brand and e-store when it comes to selling anything book-related. Although both sets of numbers are nothing to be scoffed at, it doesn’t yet amount to an ‘iPod moment’, notes paidContent. Apple sold 1.3 million units of its music player in the first two years, even if it took considerably longer for the iPod to really go mainstream. 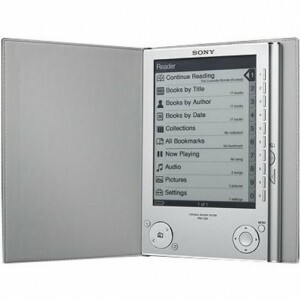 Talking of mainstream, last week my Dad requested a Sony Reader for Christmas after trying out a colleague’s. 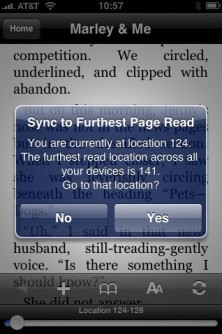 If that’s any indication, perhaps eBook readers could reach a tipping point sooner than we think? I’ve been a bit slow on posting this as I was on the road traveling. The HP Magic giveaway has officially kicked off, with the first bunch of sites — there are 50 participating in total — launching their individual competitions to give away $6,000 worth of HP gear, including the new HP netbook, a touchscreen desktop, and a neat looking media extender (and a few other non-HP bits and pieces). Currently running are contests from Bleeping Computer, Gear Live, Windows Connected, Morningside Mom, Thoughts on poetics & tech, MediaBlab, Neowin, BostonPocketPC, HackCollege, The Gadgeteer, Gotta Be Mobile, and I Started Something. Our own contest will open on the 16th of December.